Our goal is simple, to turn a day out into a real adventure! Our aim is to give purpose to a day out. Now there is a reason to visit an attraction. We are happy to say that Museum of Local History in Battle just joined our site. The new memory stamp will have number 1066! We have just launched a new website. Hope you like it. There are many amazing places to visit in England, Scotland & Wales and there’s no better way to preserve your memories than by collecting these exquisite wooden souvenir plaques . Wherever your travels take you, to the local zoo, a national park, or overseas to some of the world’s greatest cities, you can build your collection of UK MEMORY STAMPS as you go. 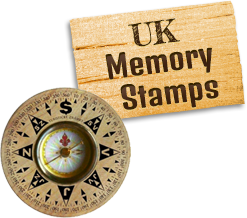 There are over 4000 places worldwide to collect UK MEMORY STAMPS from and this number is growing all the time. These are no ordinary tourist souvenirs, these stamps are exquisite miniature works of art that you’ll be proud to collect and display.